PIC: They asked what I wanted written on the fruit tart, and I thought this would be funny. 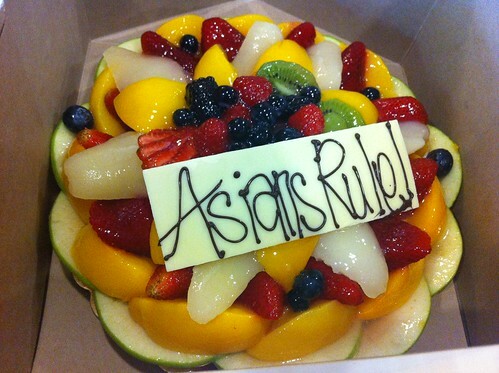 PIC: They asked what I wanted written on the fruit tart, and I thought this would be funny., originally uploaded by @jozjozjoz. For dinner with @originalspin @quanphung @seamichelle @AngryAsianMan @angryplus1. The jozjozjoz.com archives for Saturday, June 9th, 2012.